This movie was like a bullet in my head. This movie was a bit of a let down to me, I mean the sound in this movie was good but the rest was not good and kind of forgettable. Not the straight-forward action romp that we've seen from Willis and Schwarzenegger this year. This is more of a hard-nosed, gritty cops and crooks flick. 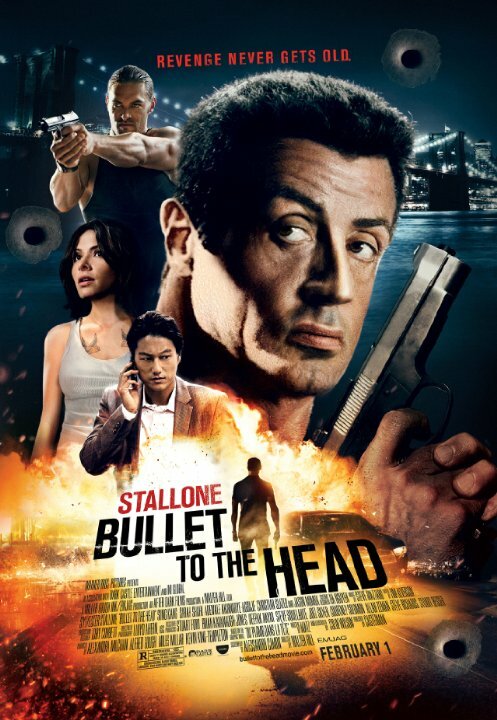 Stallone and the others do what is expected, as does the story. It's completely mediocre to the core, but I did mildly enjoy it. Something to rent. This movie was just really lacking. The action was good, but the plot was just barely there. None of the secondary cast was used to their best. Why not let the cop actually seem like a cop or you know like an adult in steady of a whinny 12 year old? Why not Christian Slater go off like we all know he can? Missed opportunity. If you want to watch something nostalgic for the glory days of action see Arnold's The Last Stand. No posts have been made on this movie yet. Be the first to start talking about Bullet to the Head!